Morinda naturally boosts immune system. It works to strengthen the immune system by providing powerful anti-inflammatory properties and antibacterial agents to help fight off infections and harmful bacteria. 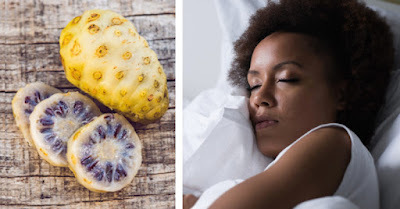 We can use Noni fruit to help promote healthy scalp and healthy skin. Rubbing the fruit on areas of concern such as ringworm, eczema or a dry scalp can promote healing and help moisturize the area. Morinda helps stimulate the production of nitric oxide. It helps the body fight off the replication of cancerous cells and reduces tumor growth. Noni fruit contains a substance called noni-ppt that can help boost the immune system and fight cancer. Noni fruit contains selenium, phytonutrients and Vitamin C. They help fight free radical damage on the blood vessel walls. Noni also contains scopoletin. It is a compound that can help lower blood pressure levels. We can use Morinda as a natural remedy to help lower cholesterol levels. It prevents the absorption of LDL cholesterol, reduces plaque in the arteries and keeps the body in good shape and healthy. Thanks to the phytosterols it contains, Morinda can prevent the absorption of cholesterol. These compounds reduce plaque build up in the arteries and support brain health to keep the brain properly oxygenated and working properly. Therefore, they improve the memory and concentration. Noni fruit contains high level of soluble fiber. It helps ease the strain on the intestines. It can also soften stools and provide the body with minerals and vitamins that it actually needs in order to keep the intestines healthy. Morinda has natural anti-fungal, antibacterial and antiviral properties. They help the body fight off infection. It also contains healing compounds, including scopoletin, anthraquinones and terpenes, that work to fight off disease. Possible side effects: Noni tea or juice, when taken in large amounts,in some people may cause liver damage. If you are pregnant or breastfeeding, do not take noni. It contains large amounts of potassium, so it may not be safe for people with kidney problems, kidney disease, or for those on a low-potassium diet.